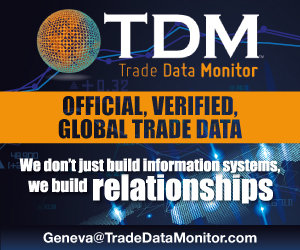 At the end of May and early June, the international press reported extensively on the political and trade clash between the United States and their NAFTA partners – Canada and Mexico, and the European Union. Unsatisfied with NAFTA, the American President is considering replacing the agreement with separate bilateral trade negotiations with Canada and Mexico, while renegotiation talks regarding NAFTA's free-trade agreement between the three countries have got bogged down. "I wouldn't mind seeing (...) you make a separate deal with Canada and a separate deal with Mexico," declared the American president, adding that NAFTA has been "a terrible deal for the United States", which has lost the US "a lot of money and a lot of jobs". For the sake of "national security", the American administration has decreed the imposition of customs tariffs on steel (25%) and aluminium (10%) imported from the European Union, Canada or Mexico, despite these countries being historic allies of the United States. These measures came into force on 1 June 2018. As a retaliatory measure, the EU, Canada and Mexico will slap new import duties – potentially as soon as mid-June – on about sixty food products and beverages from the United States, including notably tomato ketchup (Canada). The impact of customs tariffs applied by Canada (and possibly Mexico*) might be felt as a heavy burden on American operators in this industry, but this is not the case for Europe, with whom trade flows with the United States in the sauces sector remain very limited. The EU and, on a wider scale, Europe in the continental sense of the term, only account for approximately 2% of US outlets for this sector. Over the past four years, US exports of ketchup to Europe varied between 6 200 and 9 200 tonnes, mainly shipped to the United Kingdom and Scandinavian countries. 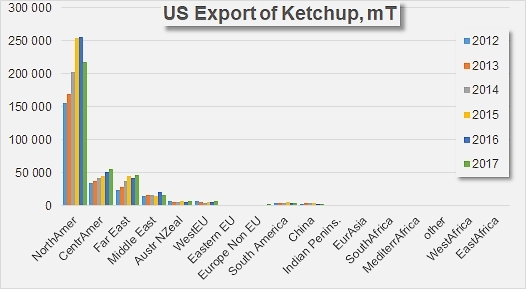 It should nonetheless be noted that European purchases of US ketchup had been growing in recent years (USD 7 million in 2014, almost USD 10 million in 2017). The decisions announced in early June by the President of the European Commission Jean-Claude Juncker could bring this development to a sharp halt. The weight of Canada and Mexico in the "ketchup" trade balance with the United States is considerably more important. Having increased considerably over the past four years (2014-2017), annual Canadian purchases of US ketchup amounted to more than 232 000 tonnes of finished products on average over the past three years, accounting for 63% of the foreign sales of the USA. 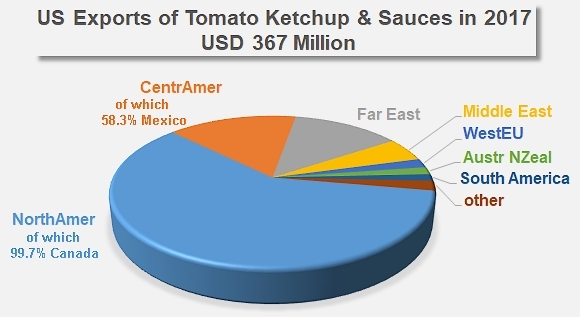 These trade flows generated an average annual income of USD 223 million (61% of the income from US ketchup exports). For now, Mexico has not announced a decision on import taxes on US ketchup. Mexico is the second biggest buyer of US ketchup. This country's purchases also grew noticeably in recent years, with annual Mexican imports for this category amounting to about 30 000 tonnes of products and USD 29 million on average for the period running 2014-2017, accounting for 8% of US foreign trade in this category. 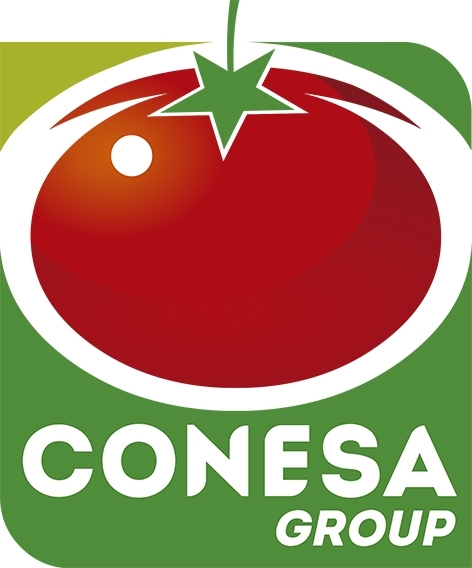 This potential slowdown imposed on US exports comes at the worst possible time for the US tomato processing industry, which is banking heavily on foreign sales, particularly those of sauces and ketchup, to compensate for the negative effects of the increasingly noticeable compression of domestic demand. A further slowdown in foreign trade would have heavy consequences on the US industry, whose processing prospects for 2018 (15% more than 2017 results) reflect a certain optimism, but also on the economic equilibrium of the worldwide industry as a whole. *:Mexico released an official list on June 5,, which included agricultural items such as cheeses, apples, potatoes, cranberries, and a number of ham, pork and sausage products. 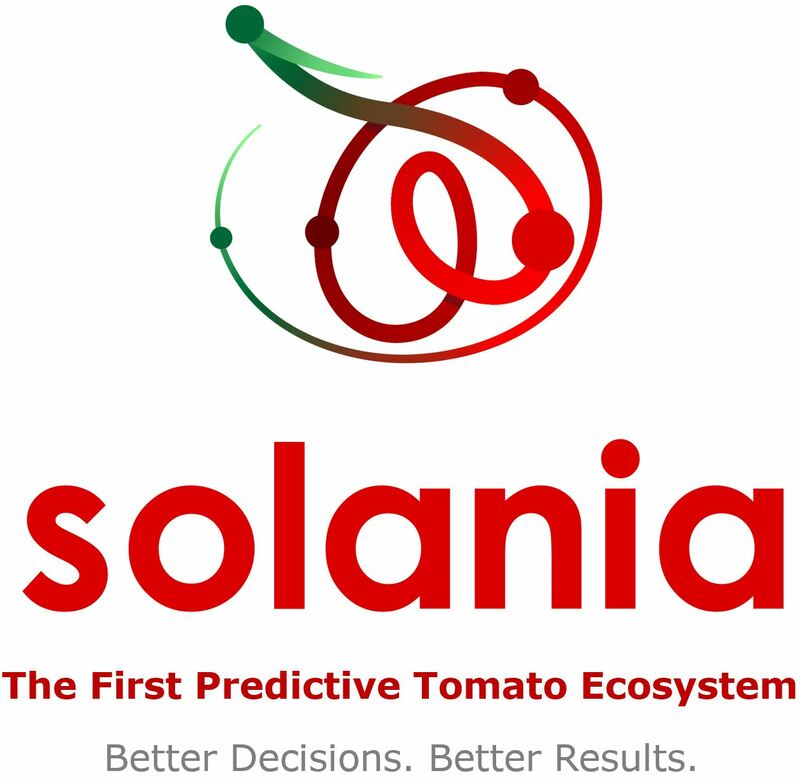 Ketchup or any other tomato products are not included in this list. 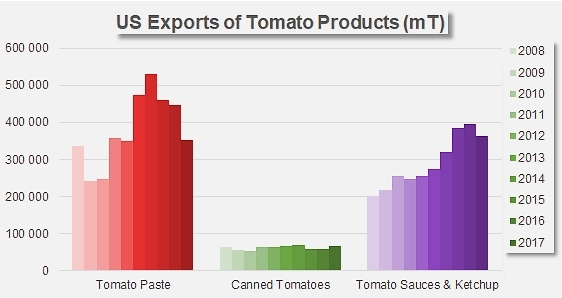 Exports of sauces and ketchup seem to better cope with the decline of foreign sales than tomato paste.